Five Intel SSD 750s Tested - Two Million IOPS and 10 GB/sec - Achievement Unlocked! This will not be a typical complete review, as this much hardware in parallel is not realistically comparable to even the craziest power user setup. It is more just a couple of hours of playing with an insane hardware configuration and exploring the various limits and bottlenecks we were sure to run into. We’ll do a few tests in a some different configurations and let you know what we found out. Continue reading for the results of our little experiment! Today at Computex, Intel took the wraps off of the latest iteration of Thunderbolt, a technology that I am guessing many of you thought was dead in the water. It turns out that's not the case, and this new set of features that Thunderbolt 3 offers may in fact push it over the crest and give it the momentum needed to become a useable and widespread standard. First, Thunderbolt 3 starts with a new piece of silicon, code named Alpine Ridge. Not only does Alpine Ridge increase the available Thunderbolt bandwidth to 40 Gbps but it also adds a native USB 3.1 host controller on the chip itself. And, as mobile users will be glad to see, Intel is going to start utilizing the new USB Type-C (USB-C) connector as the standard port rather than mini DisplayPort. This new connector type, that was already a favorite among PC Perspective staff because of its size and its reversibility, will now be the way connectivity and speed increases this generation with Thunderbolt. This slide does a good job of summarizing the key take away from the TB3 announcement: 40 Gbps, support for two 4K 60 Hz displays, 100 watt (bi-directional) charging capability, 15 watt device power and support for four protocols including Thunderbolt, DisplayPort, USB and PCI Express. Protocol support is important and Thunderbolt 3 over USB-C will be able to connect directly to a DisplayPort monitor, to an external USB 3.1 storage drive, an old thumb drive or a new Thunderbolt 3 docking station. This is truly unrivaled flexibility from a single connector. The USB 3.1 controller is backward compatible as well: feel free to connect any USB device to it that you can adapt to the Type-C connection. From a raw performance perspective Thunderbolt 3 offers a total of 40 Gbps of bi-directional bandwidth, twice that of Thunderbolt 2 and 4x what we get with USB 3.1. That offers users the ability to combine many different devices, multiple displays and network connections and have plenty of headroom. With Thunderbolt 3 you get twice as much raw video bandwidth, two DP 1.2 streams, allowing you to run not just a single 4K display at 60 Hz but two of them, all over a single TB3 cable. If you want to connect a 5K display though, you will be limited to just one of them. For mobile users, which I think is the area where Thunderbolt 3 will be the most effective, the addition of USB 3.1 allows for charging capability up to 100 watts. This is in addition to the 15 watts of power that Thunderbolt provides to devices directly - think external storage, small hubs/docks, etc. Continue reading our preview of the new Thunderbolt 3 technology!! To the left is the Kingston HyperX Savage. To the right is the Patriot Ignite. They differ in flash memory types used, available capacities, and the stated performance specs vary slightly among them. Today we'll compare them against the Neutron XT as well as a selecton of other SATA SSDs. In very early April, Intel put a shot across the bow of the storage world with the release of the SSD 750 Series of storage devices. Using the PCI Express bus but taking advantage of the new NVMe (Non-Volatile Memory Express) protocol, it drastically upgrades the capabilities of storage within modern PC platforms. In Allyn's review, for example, we saw read data transfer rates cross into the 2.6 GB/s range in sequential workloads and write rates over 1.2 GB/s sequentially. Even more impressive is the random I/O performance where the SSD 750 is literally 2x the speed of previous PCIe SSD options. A couple of weeks later we posted a story looking into the compatibility of the SSD 750 with different motherboards and chipsets. We found that booting from the SSD 750 Series products is indeed going to require specific motherboards and platforms simply due to the "new-ness" of the NVMe protocol. Officially, Intel is only going to support Z97 and X99 chipsets today but obviously you can expect all future chipsets to have proper NVMe integration. We did find a couple of outliers that allowed for bootability with the SSD 750, but I wouldn't count on it. Assuming you have a Z97/X99 motherboard that properly supports NVMe drives, of which ASUS, MSI and Gigabyte seem to be on top of, what are the steps and processes necessary to get your system up and running on the Intel SSD 750? As it turns out, it's incredibly simple. Make sure you have enabled NVMe in the latest BIOS/UEFI. The screenshot below shows our ASUS X99-Deluxe motherboard used during testing and that it is properly recognizing the device. There was no specific option to ENABLED NVMe here though we have seen instances where that is required. Continue reading our overview of installing Windows on the Intel SSD 750 Series!! PCIe SSD Roundup - Samsung SM951 NVMe vs. AHCI, XP941, SSD 750 and More! I'll be comparing the three above units against some other PCIe SSDs, including the Intel SSD 750, Kingston HyperX Predator, G.Skill Phoenix Blade, Plextor M6e Black, and more! Continue reading our review of these hot new M.2 products! 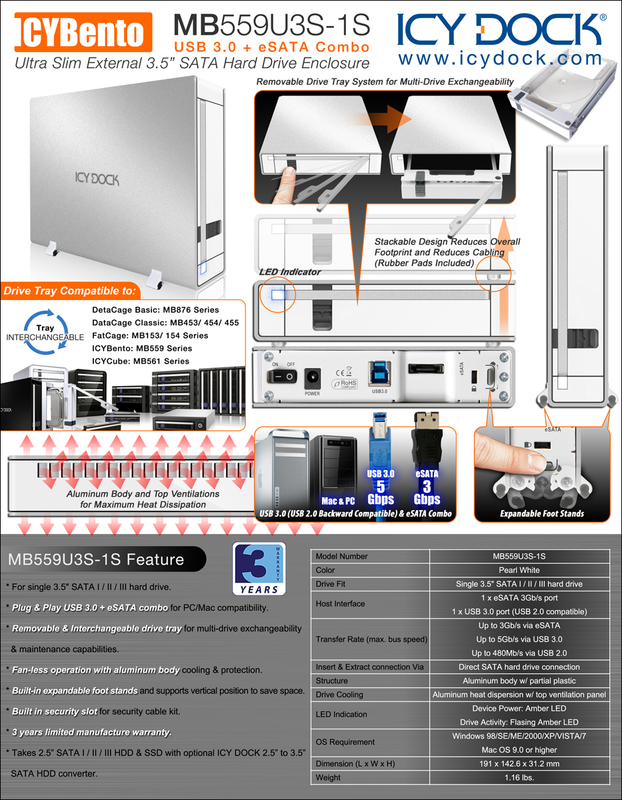 To the left is the ICYCube MB561U3S-4S, which is a 4-bay eSATA / USB 3.0 JOBD enlcosure. To the right is the ICYRaid MB662U3-2S, which is a 2-bay USB 3.0 JBOD/Big/RAID-0/RAID-1 enclosure. Read on for our review! The tale of the Samsung 840 EVO is a long and winding one, with many hitches along the way. Launched at the Samsung 2013 Global SSD Sumit, the 840 EVO was a unique entry into the SSD market. Using 19nm planar TLC flash, the EVO would have had only mediocre write performance if not for the addition of a TurboWrite cache, which added 3-12GB (depending on drive capacity) of SLC write-back cache. This gave the EVO great all around performance in most consumer usage scenarios. It tested very well, was priced aggressively, and remained our top recommended consumer SSD for quite some time. Other editors here at PCPer purchased them for their own systems. I even put one in the very laptop on which I'm writing this article. An 840 EVO read speed test, showing areas where old data had slowed. About a year after release, some 840 EVO users started noticing something weird with their systems. The short version is that data that sat unmodified for a period of months was no longer able to be read at full speed. Within a month of our reporting on this issue, Samsung issued a Performance Restoration Tool, which was a combination of a firmware and a software tool that initiated a 'refresh', where all stale data was rewritten, restoring read performance back to optimal speeds. When the tool came out, many were skeptical that the drives would not just slow down again in the future. We kept an eye on things, and after a few more months of waiting, we noted that our test samples were in fact slowing down again. We did note it was taking longer for the slow down to manifest this time around, and the EVOs didn't seem to be slowing down to the same degree, but the fact remained that the first attempt at a fix was not a complete solution. Samsung kept up their end of the bargain, promising another fix, but their initial statement was a bit disappointing, as it suggested they would only be able to correct this issue with a new version of their Samsung Magician software that periodically refreshed the old data. This came across as a band-aid solution, but it was better than nothing. Read on for our full evaluation of the new firmware and Magician 4.6! Today we're taking a quick look at a pair of drive enclosures sent to us by ICY DOCK. To the left is the ToughArmor MB996SP-6SB, which is a 5.25" bay hot swap chassis capable of mounting 6 2.5" SATA devices. To the right is the ICYBento MB559U3S-1S, which is a UASP external 3.5" HDD enclosure connectable by either USB 3.0 or eSATA. We did note that the spec sheet and manual included SATA power to molex adapters, but we found no such adapters in the box. We may have received old stock, as the web site appears more up to date than the paper manual we received. **update** ICYDock reached out and let me know that all shipping boxes of this part should come with a pair of molex to SATA power cables. Our sample came from their techs and they must have forgot to put those cables back into our box. Both items were well packaged with no shipping damage noted. Editor's note: We are hosting a live stream event with our friends at Intel's SSD group today to discuss the new SSD 750 Series launch and to giveaway a couple of the 400GB units as well! Be sure you stop by to ask quesitons, learn about the technology and have a chance to win some hardware!! Intel has a habit of overlapping their enterprise and consumer product lines. Their initial X25-M was marketed to both consumer and enterprise, with heavier workloads reserved for the X25-E. Their SSD 320 Series was also spec'd for both consumer and enterprise usage. Their most recent SSD 730 Series was actually an overclocked version of their SSD DC S3500 units. Clearly this is an established trend for Intel, so when they dominated flash memory performance with the SSD DC P3700 launch last year, pretty much everyone following these sorts of things eagerly waited in anticipation of a consumer release. This is the add-in card version of the new Intel SSD 750 Series that brings NVMe technology and insane performance levels to consumers at a cost that is more affordable than you might think. As with the enterprise variant, Intel chose to launch the SSD 750 Series in the familiar HHHL PCIe x4 form factor as well as a 2.5" SFF-8639 packaging. The 2.5" model contains the exact same set of components, just rearranged into a smaller device. Pictured above (left) is the ASUS 'Hyper Kit' adapter PCB, which was sampled to us with their new Sabertooth X99 motherboard just for testing these new 2.5" devices. The connector you see at the right may look familiar, as it is an internal Mini-SAS HD (SFF-8643) cable commonly used with high end SAS RAID cards. Intel is basically borrowing the physical spec, but rewiring those four SAS lanes over to the PCIe pins of the SFF-8639 connector at the other end of the cable. Continue reading our review of the Intel SSD 750 Series NVMe 1.2TB PCIe drives!! Today we will be looking at the MSATA and M.2 form factors. To clarify, the M.2 units are still using a SATA controller and connection, and must therefore be installed in a system capable of linking SATA lanes to its M.2 port. As both products are SATA, the DRAM cache based RAPID mode included with their Magician value added software is also available for these models. We won't be using RAPID for this review, but we did take a look at it in a prior article. Given that 850 EVOs use VNAND - a vastly different technology than the planar NAND used in the 840 EVO, we suspect it is not subject to the same flash cell drift related issues (hopefully to be corrected soon) in the 840 EVO. Only time will tell for sure on that front, but we have not see any of those issues present in 850 EVO models since their launch. Cross sectional view of Samsung's 32-layer VNAND. Photo by TechInsights. Samsung sampled us the M.2 SATA in 120GB and 500GB, and the MSATA in 120GB and 1TB. Since both are SATA-based, these are only physical packaging differences. The die counts are the same as the 2.5" desktop counterparts. While the pair of 120GB models should be essentially identical, we'll throw both in with the results to validate the slight differences in stated specs below. Continue reading our review of these new Samsung 850 EVOs!! Today we will run all three available capacities (240GB, 480GB, and 960GB) through our standard round of testing. I've thrown in an R7 as a point of comparison, as well as a hand full of the competition. Here are the specs from OCZ's slide presentation, included here as it gives a good spec comparison across OCZ's SATA product range. Standard packaging here. 3.5" adapter bracket and Acronis 2013 cloning software product key included. Continue reading our review of the new OCZ Vector 180 SSD!! Just over a week or so ago Allyn spent some time with the MSI X99A Gaming 9 ACK motherboard, a fact that might seem a little odd to our frequent readers. Why would our storage editor be focusing on a motherboard? USB 3.1 of course! When we visited MSI at CES in January they were the first company to show working USB 3.1 hardware and performance numbers that we were able duplicate in our testing when MSI sent us similar hardware. But ASUS is in this game as well, preparing its product lines with USB 3.1 support courtesy of the same ASMedia controller we looked at before. ASUS has a new revision of several motherboards planned with integrated on-board USB 3.1 but is also going to be releasing an add-in card with USB 3.1 support for existing systems. Today we are going to test that add-in card to measure ASUS' implementation of USB 3.1 and see how it stacks up to what MSI had to offer and what improvements and changes you can expect from USB 3.0. Despite the simple point denomination change in USB 3.1, also known as SuperSpeed+, the technological and speed differences in the newest revision of USB are substantial. Allyn did a good job of summarizing the changes that include a 10 Gbps link interface and a dramatic drop in encoding overhead that enables peak theoretical performance improvements of 2.44x compared to USB 3.0. USB 3.1 is rated at 10 Gbps, twice that of USB 3.0. The little-reported-on nugget of info from the USB 3.1 specification relates to how they classify the raw vs. expected speeds. Taking USB 3.0 as an example, Superspeed can handle a raw 5Gbps data rate, but after subtracting out the overhead (packet framing, flow control, etc), you are left with ~450MB/s of real throughput. Superspeed+ upgrades the bit encoding type from 8b/10b (80% efficient) to 128b/132b (97% efficient) *in addition to* the doubling of raw data rate. This means that even after accounting for overhead, Superspeed+’s best case throughput should work out to ~1.1GB/s. That’s not a 2x speed improvement – it is actually 2.44x of USB 3.0 speed. Superspeed+ alright! Continue reading our preview of USB 3.1 Performance on ASUS hardware! Crucial aims to make the BX100 as their lowest cost/GB SSD ever - even cheaper than the MX100. Since Micron makes the flash, the best way to drive costs down is to use a lower cost controller. The Silicon Motion SM2246EN is cheaper to procure than the equivalent Marvell part, yet still performs rather well. This is a great controller, as we have seen in our prior review of the ADATA SP610, Corsair Neutron LX, and Angelbird SSD WRK. From the specs, we can see that Micron has somehow infused their variant with increased write speeds even though it appears to use the same flash as those competing models listed above. We'll see how this plays out as the review progresses. We first got a peek of USB 3.1 at CES 2015. MSI had a cool demo showing some throughput figures including read and write speeds as high as 690 MB/s, well over the ~450 MB/s we see on USB 3.0 options shipping today. Stuff we will be testing today (Samsung T1 was not part of the MSI demo). For those unaware, USB 3.1 (also known as Superspeed+), while only a 0.1 increment in numbering, incorporates a doubling of raw throughput and some dramatic improvements to the software overhead of the interface. Don't be confused between the USB 3.1 standard and the new USB Type-C connector - they are unrelated and independent of each other. Yes, you’re all going to have to buy *more* cables in the future. Type-C connectors will enable more simple cable design and thinner connections going forward but USB 3.1 will exist in both Type-A/B and Type-C going forward. Our benchmarking today will utilize Type-A. Read on for some more detail and speed tests of this new specification. Plextor launched their M6e PCIe SSD in mid-2014. This was the first consumer retail available native PCIe SSD. While previous solutions such as the OCZ RevoDrive bridged SATA SSD controllers to PCIe through a RAID or VCA device, the M6e went with a Marvell controller that could speak directly to the host system over a PCIe 2.0 x2 link. Since M.2 was not widely available at launch time, Plextor also made the M6e available with a half-height PCIe interposer, making for a painless upgrade for those on older non M.2 motherboards (which at that time was the vast majority). We left CES with a sample of the M6e Black, but had to divert our attention to a few other pressing issues shortly after. With all of that behind us, it's time to get back to cranking out the storage goodness, so let's get to it! There were other variables that impacted the end result, which further complicated the flurry of reports coming in from seemingly everywhere. The slow speeds turned out to be the result of the SSD controller working extra hard to apply error correction to the data coming in from flash that was (reportedly) miscalibrated at the factory. This miscalibration caused the EVO to incorrectly adapt to cell voltage drifts over time (an effect that occurs in all flash-based storage – TLC being the most sensitive). Ambient temperature could even impact the slower read speeds as the controller was working outside of its expected load envelope and thermally throttled itself when faced with bulk amounts of error correction. An example of file read speed slowing relative to age, thanks to a tool developed by Techie007. Once the community reached sufficient critical mass to get Samsung’s attention, they issued a few statements and ultimately pushed out a combination firmware and tool to fix EVO’s that were seeing this issue. The 840 EVO Performance Restoration Tool was released just under two months after the original thread on the Overclock.net forums was started. Despite a quick update a few weeks later, that was not a bad turnaround considering Intel took three months to correct a firmware issue of one of their own early SSDs. While the Intel patch restored full performance to their X25-M, the Samsung update does not appear to be faring so well now that users have logged a few additional months after applying their fix. Continue reading our look at the continued problems with the Samsung 840 EVO SSD! We'll dive more into the details as this review progresses. The T1 comes well packaged, with a small instruction manual and a flat style short USB 3.0 cable. The drive itself is very light - ours weighed in right at 1 ounce. Continue reading our review of the Samsung Portable SSD T1 500GB unit! Drobo is frequently referred to as ‘the Apple of external storage products’. They got this name because their products go for the simplest possible out-of-the-box experience. 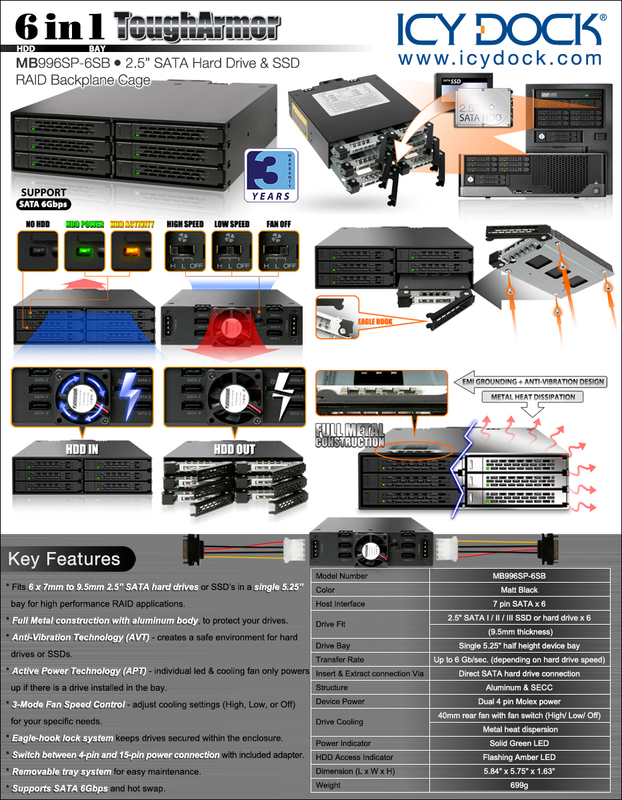 Despite their simplicity, the BeyondRAID concept these units employ remains extremely robust and highly resistant to data loss in even the most extreme cases of drive failures and data loss. I reviewed the DroboPro 8-bay unit over 5 years ago and was so impressed by it that I continue to use one to this day (and it has never lost data, despite occasional hard drive failures). Over those past 5 years since our review of the DroboPro, Drobo (then known as Data Robotics) has also had a bit of an Apple story. Their original CEO started the company but was ousted by the board in late 2009. He then started Connected Data in 2011, quickly growing to the point where they merged with Drobo in 2013. This was not just a merger of companies, it was a merger of their respective products. The original Transporter was only a single drive unit, where Drobo’s tech supercharged that personal cloud capability to scale all the way up to corporate environments. This is the third generation 4-Bay Drobo. The 4-Bay model is what started it all for them, but was a bit underpowered and limited to USB 2.0 speeds. The second gen unit launched mid 2008, adding FireWire as a faster connection option, but it was still slower than most would have liked given its $500 price tag. This third generation unit promises to change all of that. USB is once again the only connectivity option, but this time it’s USB 3.0. There have previously been other 5-bay Drobos with this as an option (Drobo S, S gen 2, 5D, Mini), but many of those units saw compatibility issues with some USB 3.0 host controllers. We experienced some of these same frustrating incompatibilities first hand, and can confirm those frustrations. Drobo is putting that behind them with a revised chipset, and today we will put it all to the test. Read on for our full review of the new Drobo! This is a very simple enclosure, with a sliding design and a flip open door at the front.